ESP completely nailed it! ALL the guests LOVED the music and we are still hearing praises and compliments months after our big day. ESP MADE our wedding. Everything was quality. It was truly an amazing night I will never forget. You will NOT be disappointed. Frank and his team were AMAZING! He was so personable and easy to work with. ESP's Photo Booth is a must have! They do a great job of accommodating everyone who wanted to use it and they gave us a huge scrap book of the photos at the end of the night. I could not be more thrilled with ESP Entertainment. Frank and his team did an absolutely amazing job and our guests enjoyed every minute. They exceeded our expectations. We had our reception at Il Tulipano. ESP was AMAZING! The photo booth was a hit and Frank had the WHOLE room dancing the entire night! I have never seen so many people dancing at a wedding. Everyone raved about how much fun they had in the photobooth and on the dance floor. We couldn't have asked for anything better. We cannot say enough great things about ESP! We have received so many compliments on how great the music was. There was not a single point in the night where the dance floor was not packed. 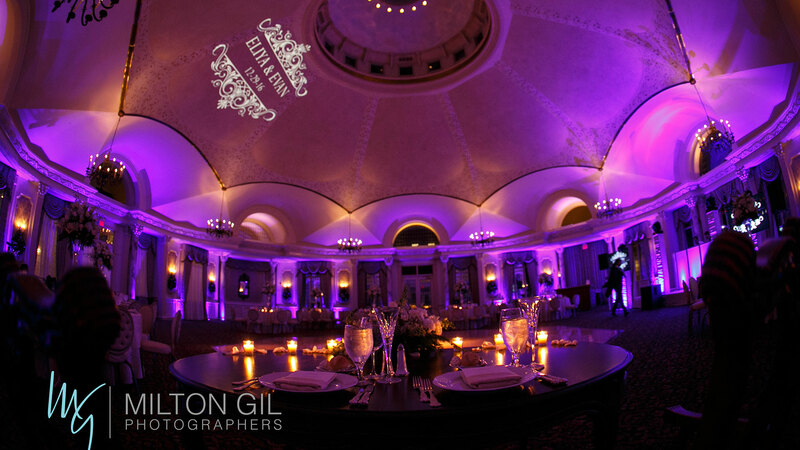 Let’s Plan Your Event & Get the Party Started! 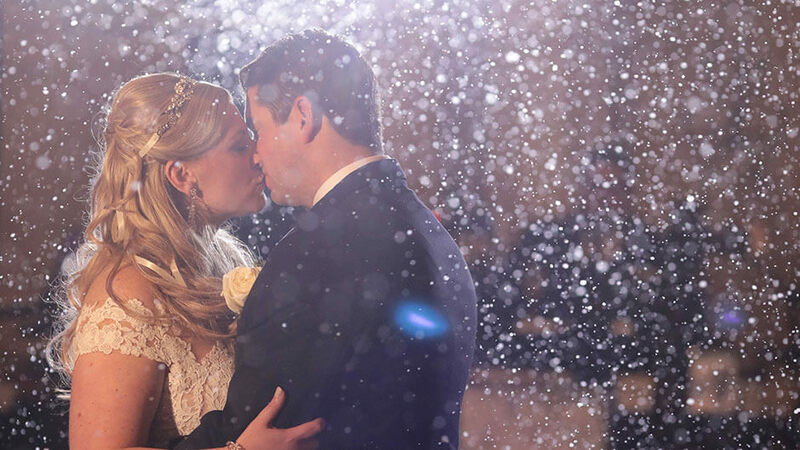 You’re having a winter themed wedding or event and want to create that perfect winter wonderland picture or moment. 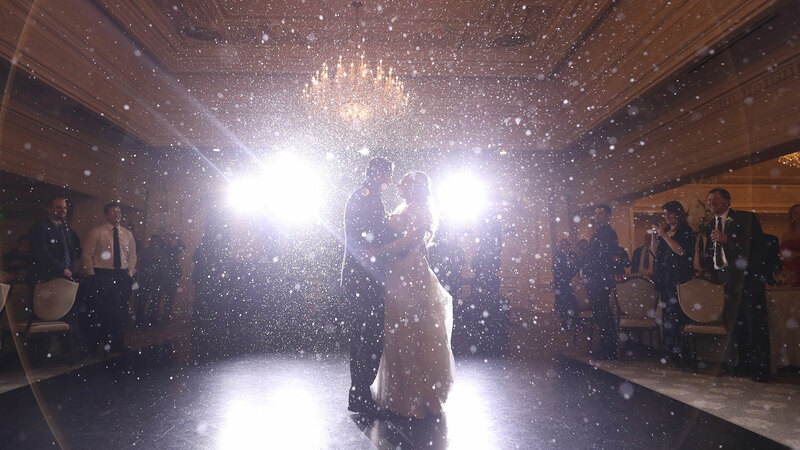 Well let it snow during your first dance or special dance or even during high energy dance sets through the night! Up lighting is one of the most popular ways to transform any room from ordinary to extraordinary. ESP Entertainment specializes in interior and exterior lighting design with our computer controlled intelligent lighting. 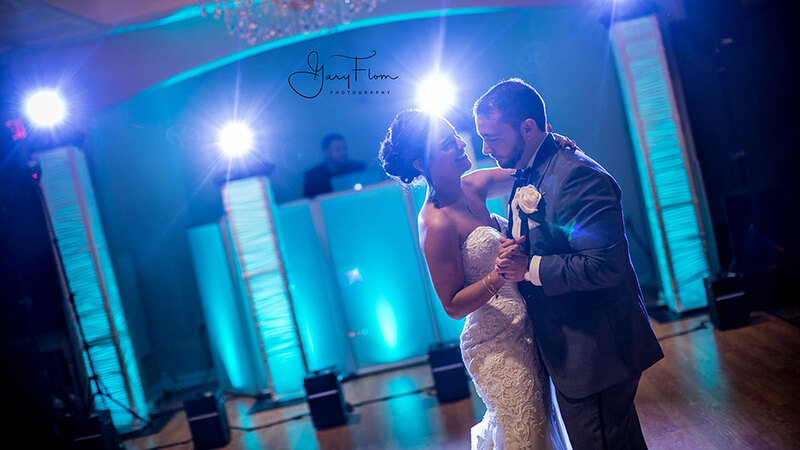 We will create a theatrical and exciting ambiance for your affair from your grand entrance to that intimate spotlight dance. Automated intelligent lighting arrays are programmed at every venue and designed to enhance the music being played all the while maintaining a clean, non-obtrusive appearance. 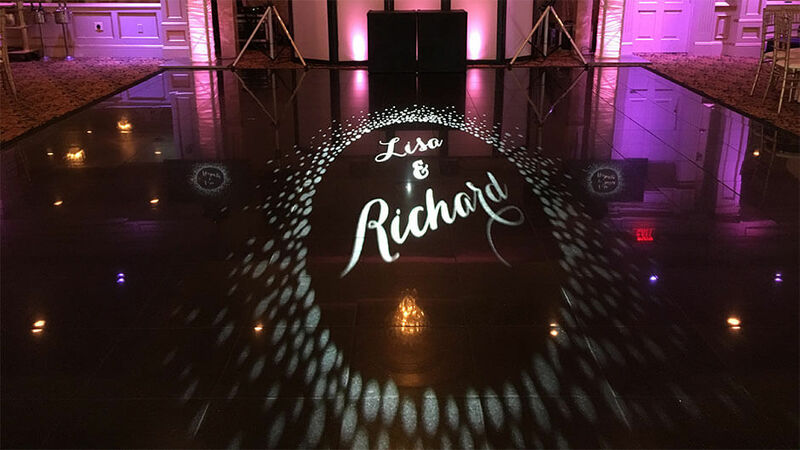 Picture your names, initials or event logo displayed in lights on the dance floor or wall for all your guests to see. 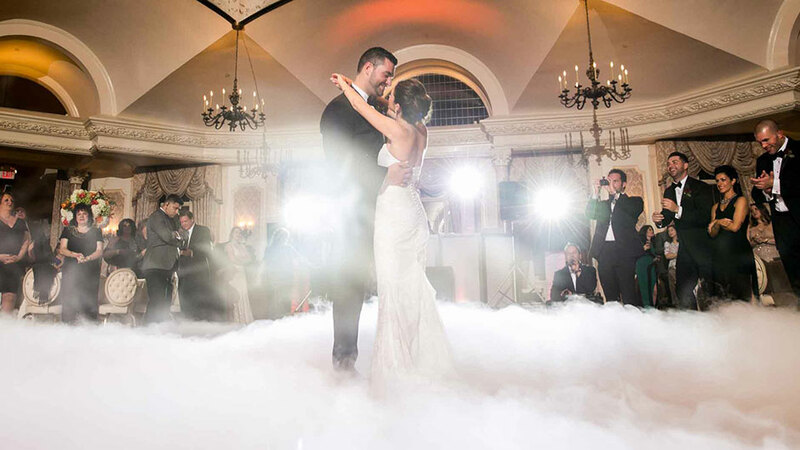 Thrill your guests with one of the hottest trends today in event planning. Choose from one of our booth & photo design options or we’ll customize a design for you. 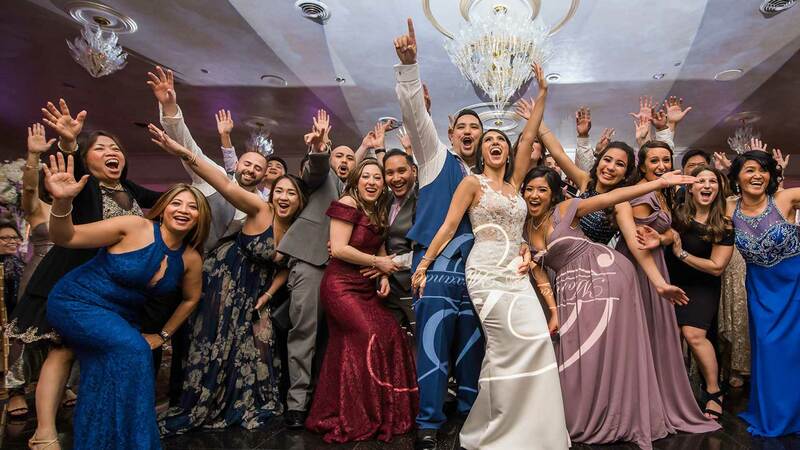 We offer state of the art open air photo booths, photo booth lounge, Instagram kiosk, flip books, green screen or one of our exciting add-ons — a great addition to any event. The foundation of any successful affair is the music selection. 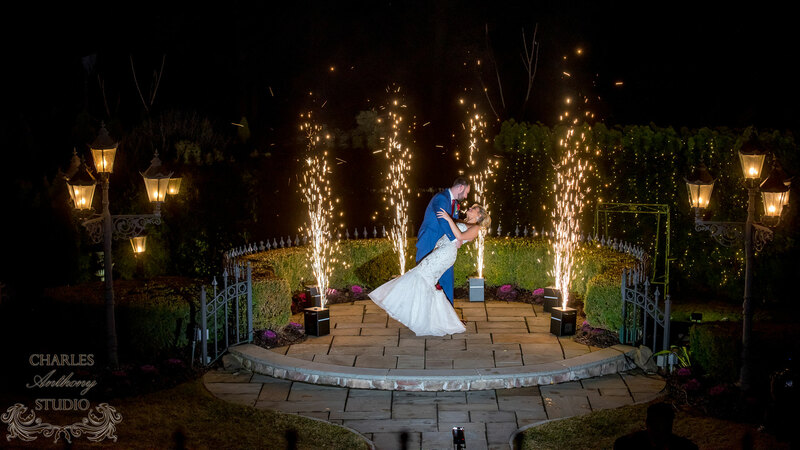 We will work closely with you to customize a play list that is just right for you and your guests. Our extensive music library ranges from the big band era right on through to today’s top dance hits. 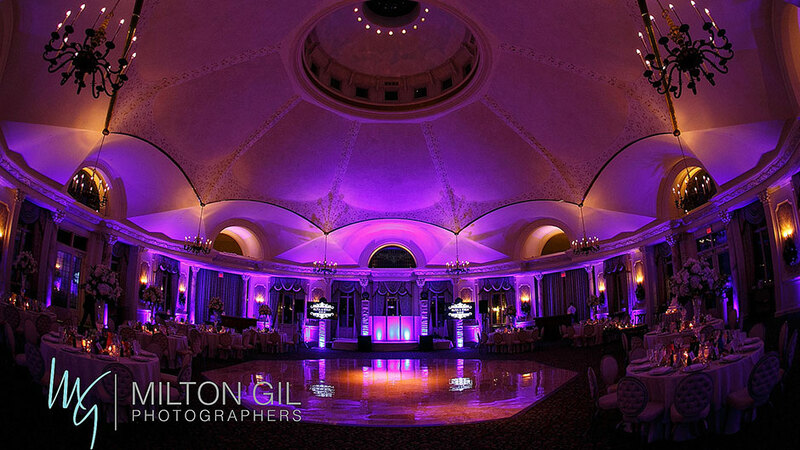 ESP Entertainment utilizes state of the art digital sound systems for crystal clear sound quality. 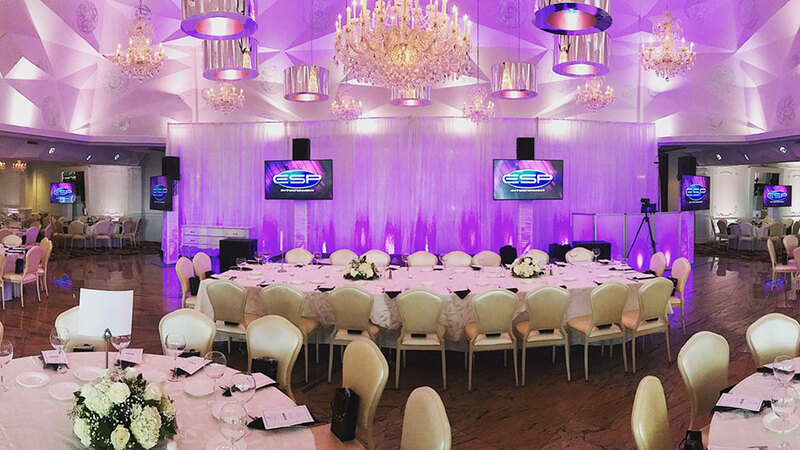 With over 25 years in Entertainment & Production, we are an award winning boutique style DJ event group serving New Jersey and New York City that will take your event to the next level. Listen to Our Amazing Clients! 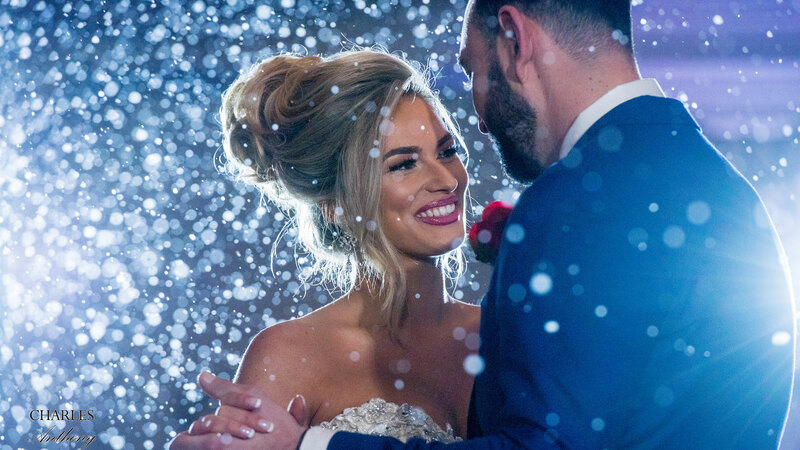 We were so extremely happy with Frank and ESP Entertainment at our wedding in October! ESP completely nailed it! From the lighting and atmosphere, to the music, to the photo booth. ALL the guests LOVED the music and we are still hearing praises and compliments months after our big day. 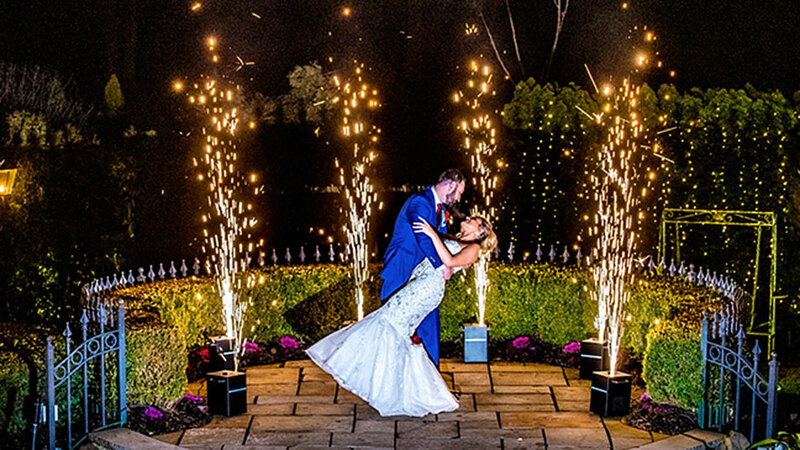 From the beginning Frank was easy going, listened to what we wanted and worked with us thoroughly to make sure our wedding day was perfect. Frank and his crew from ESP Entertainment DJ'd our wedding earlier this month and I can't say enough good things about them. From the initial meeting we had to the end of the reception, Frank was always available and of service. 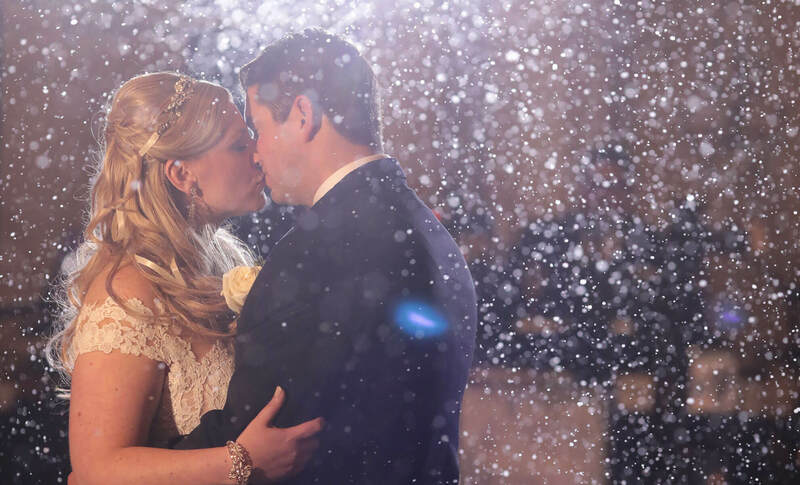 We had a change of venue two months before our wedding day that threw us for a loop but, Frank put us at ease and even tried to help us find a new location for the reception by putting us in touch with one of his contacts at a nearby venue. Frank was always there to answer the phone when we called or reply to the numerous emails we sent him. The reception went so smoothly from start to finish, even with having to adjust our wedding party a minute before the introductions Frank was calm and professional. He did a great job keeping the dance floor full when we wanted it and the music selection nice and relaxed when we needed it. 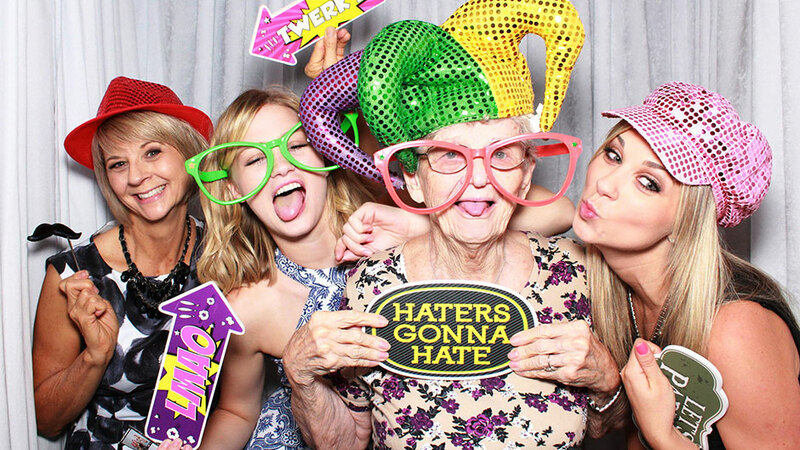 Their Photo Booth is a must have! Frank and his team were AMAZING! He was so personable and easy to work with. I admit I was nervous for no reason other than I have been to weddings where the party never really gets started and you’re left with an empty dance floor (my worst nightmare). But with Frank, he got the party started ASAP and kept it going! He knew exactly what to play and when to play it! Our dance floor was filled with people of all ages dancing for hours on end. I had numerous guests compliment how amazing the music was. I couldn’t have made a better choice!! From the bottom of our hearts, THANK YOU! !